Jesus knew exactly who He was. He knew that He had what everyone on this earth needed to bring them to life and sustain them throughout their earthly existence and preserve them for eternity. At His word, Peter stepped out of a boat onto a turbulent sea and began to walk. As long as he stood on the Word of Jesus, he was safe; he failed only when he turned to his own imagination of sinking in the storm. In Jesus’ prayer for His disciples just before His execution He called attention to the truth of the Word that He was leaving with them: “Sanctify them through thy truth; thy word is truth” (John 17:17). Jesus knew if they stayed true to His Word, they would be obedient in the commission He had put in their hands and live a successful Christian life for others to see and believe. C. S. Lewis said: “I believe in Christianity as I believe the sun has risen, not only because I see it, but because by it I see everything else.” God’s Word is the Light that dispels the darkness and illuminates everything that is Truth and exposes what is false. By this lamp, we see everything else; truth is discovered and error is revealed. We can never “overeat” the Bread of Life! Scriptures are replete with references to the benefits of “feasting" on a balanced diet of the Word of God. Jesus declared to His disciples that He was, indeed, the Bread of Life. 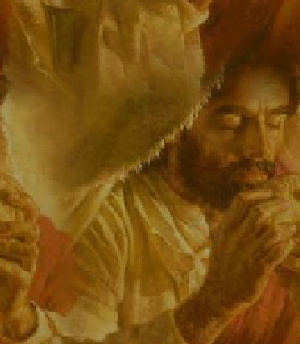 He said if they came to Him for this Bread, they would never hunger (John 6:35). He rebuked Satan during His wilderness temptation with “man shall not live by bread alone,” but by God’s Word. Satan has an agenda and at the top of the list is “Discredit God’s Word.” He began this campaign in Eden when He convinced Eve (who also convinced Adam!) that God’s Word was not reliable. He twisted its meaning and distorted the truth. This is his usual method, using the Scriptures in a distorted manner, attempting to give it a different meaning to suit his purpose—deceit and destruction. Be aware and be warned that he is still using the same tactics, and his purpose is the same. At the Passover meal Jesus shared with His disciples just before His death, He broke and offered them the bread, calling it “my Body” (Matthew 26:26). If they “feasted” on His Word, they would be taking Him into themselves; and it would give them life everlasting. He paralleled His Bread with that of the manna which Moses gave Israel to sustain their lives during their wilderness wanderings when nothing else was available. 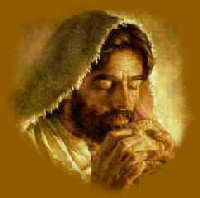 He called it “bread from heaven” (John 6:32), and declared Himself to be Bread from heaven. “It is the spirit that quickeneth; the flesh profiteth nothing; the words that I speak unto you, they are spirit, and they are life” (John 6:63). The disciples, even in their limited understanding at that time, desired to have that “bread.” They said to Jesus, “…give us this bread” (John 6:34). They didn’t fully comprehend that He had been giving them this Bread from the time they began to follow Him and would continue to give it to them until the very last of His earthly life. 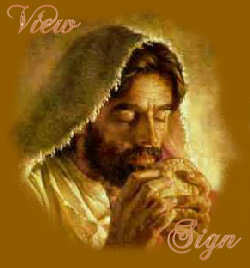 He went so far as to tell them if they ate of this Bread they would not die (John 6:50). He spoke of eternal life which they would have if they kept His Word. With His Word in them and they in Him, they would live forever! “I am the living bread which came down from heaven: if any man eat of this bread, he shall live forever: and the bread that I will give is my flesh, which I will give for the life of the world. This is that bread which came down from heaven not as your fathers did eat manna, and are dead; he that eateth of this bread shall live forever” (John 6:51, 58). According to the Scriptures which prophesied of His coming, He gave his life (flesh), suffered death and was resurrected that they, and we, could live forever. God’s Word is eternal. It cannot be erased or deleted. It’s in Heaven's “memory” just as deleted data on my computer stays in the “trash can” even after I delete it, though it’s not accessible unless I pull it out of the trash. It is still resident on my hard drive. We can reject the Word of God and put it in the trash, but it’s still alive and active! When we trash it, it’s not accessible to give us life, until we go back to its truth and pull it back into our lives. It has not been altered just because we haven’t utilized it. Many have tried to destroy the Word as Satan attempts to cast a shadow of doubt on God’s integrity. A story is told in Jeremiah 36 when he was given a message from God. His scribe, Baruch, wrote the words as the Lord gave them to Jeremiah and then took them to the Temple and read them to the people of Judah. The people were warned to turn from their evil ways and worship only God. When it reached the king’s ears, he took out his penknife and shredded the message and cast it into the fire. You might think that was the end of it, but no! Not only did God give Jeremiah the message back, but He added more to it and sent it back to King Jehoikim! Adam had access to the wisdom of God and could have continued to live in it had he not abdicated to his own, based on Satan’s advice. A. W. Tozer said, “The devil is a better theologian than any of us and is a devil still.” He knows the Word and its source, but he uses it destructively. It is our responsibility to “feast” on the Word, know it firsthand and apply it to our lives consistently. Satan is just waiting for us to get lax in our “eating of the Word.” In our weakened condition, he slips up on us and works his wizardry to deceive. We live in a world of neglect where the Word of God is concerned. Spiritual carelessness has permeated the Christian world, causing absolutes to be lost in the jungle of permissiveness. God hasn’t changed His holiness nor His requirements of us. Times change over generations, and it may become necessary to change our methods of reaching the lost; we can use different ways to send the message, but the message can never change! There was a time when television was viewed by some Christians as an ungodly instrument, but it is now also used to send out gospel messages. Methods can be compromised, personalities can be accommodated, times and dates can be adjusted, locations can be changed, BUT the message must never vary—Jesus Christ is the same yesterday, today and forever. It is in God’s archives and cannot be touched by Satan, no matter how often he alters his methods and attempts. What better way to spend Thanksgiving than feasting on the Bread of Heaven! It has all the spiritual nutrients we need to have a balanced diet and develop a healthy lifestyle that will honor God and influence the world for Him. Below is an illustration that I saved from a short seminar a group of us had in preparation for a Billy Graham film showing in our small town. That has been many years ago, but the method is still relevant and useful today. It illustrates that we need to do more than just listen to someone else’s testimony. Notice the progressive retention as we read for ourselves, study and memorize God’s Holy Word. It begins in our ears, continues with our eyes and is digested into our hearts where it works itself out in our lives. We only retain 10% of what we hear. We retain 30% of what we read for ourselves; but when we study, we retain 60%. In order to retain all we hear, read and study, we must memorize it. To maintain what we have memorized, we must meditate upon it. Try holding your Bible with just your little finger in one hand; pull it out with your other hand. Easy, wasn’t it? Now, hold it with your little finger and your ring finger; pull it out with your other hand. Still easy, but a little harder than before, huh? Next, hold your Bible with your little finger, ring finger and middle finger; pull it out with your other hand. Getting harder to do, isn’t it? OK. 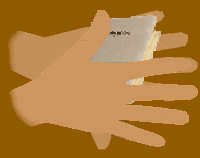 Hold your Bible with your little finger, ring finger, middle finger and fore finger; pull it out with your other hand. You have a pretty good grip on it now, don’t you? To really hold fast to your Bible, hold it with all your fingers, then wrap your thumb around it also. When you try to dislodge it, you will have difficult time now. You see, that’s how we hold onto the Word of God. We hear it preached, taught, discussed or however our ears get hold of it. We read it for ourselves and study it. Then we commit to memory as much as we can so we can meditate upon it. Voila! 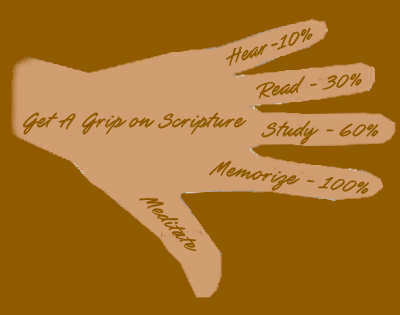 We have a good grip on the Scriptures! Enjoy the Feast! Reap the benefits! Pass it on!